The Bristol Britannia in RAF service was operated by two Squadrons, numbers 99 and 511. These Squadrons previously operated Handley Page Hastings transport aircraft and prior to these the Avro York. Based at RAF Lyneham, Wiltshire, the Britannias were allocated to each Squadron and were operated separately until central servicing of all the aircraft had been established. Following the introduction of central servicing the Britannias were ‘pooled’, with each aircraft being operated jointly by crews from both Squadrons. Pooling of the Britannia squadrons commenced in September 1960 and continued when the fleet was moved to RAF Brize Norton in Oxfordshire. Brize had already been accommodating a Britannia derivative in the shape of the Short Belfast C1. Ten of these aircraft had been ordered from Short Brothers and Harland at Belfast and operated by 53 Squadron alongside the VC10s of 10 Squadron. Following the reduction in the need for a large strategic airlift capability in the mid 1970’s because of the perceived easing of the ‘Cold War’, the Britannia fleet was disbanded and together with the Comet and Belfast squadrons all were removed from active RAF service. The Britannias were stored at RAF Kemble and St Athan and later either sold or leased on to civilian airlines. These aircraft were eagerly ‘snapped up’, particularly by freight operators, having been fitted with a strengthened floor and a large forward cargo door plus having relatively low flying hours and economical to operate. VARIANTS: 252 (Britannia C.Mk2 in RAF service) and 253 (Britannia C.Mk1 in RAF service). Built to Ministry of Supply under specification C176P. Once withdrawn from RAF service and civilianised, they were designated as 252F and 253F respectively. The 252F was somewhat limited in flexibility in that it did not possess the full length freight floor of the 253F. 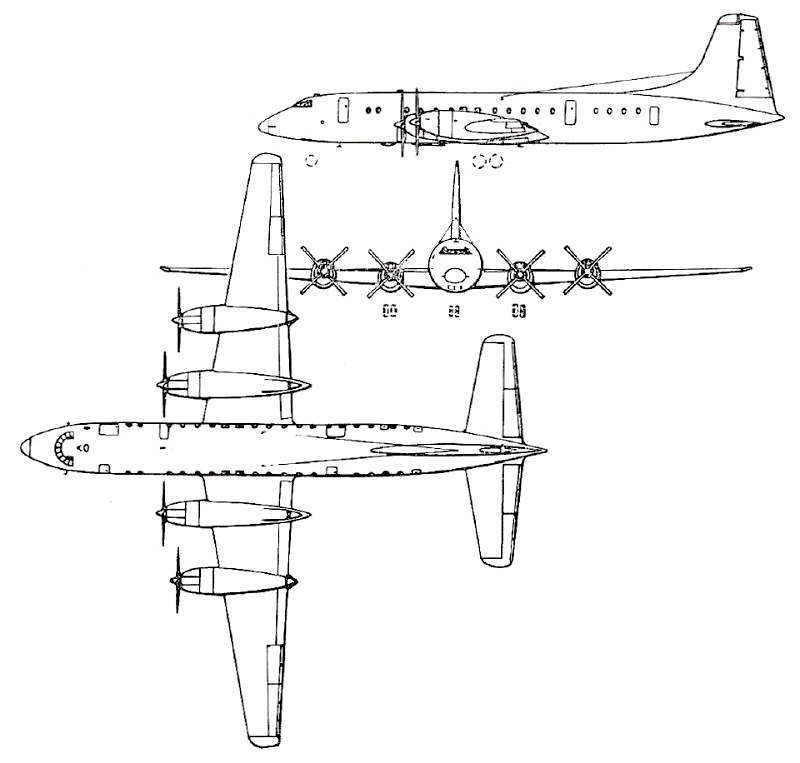 POWERPLANT 1:Four Bristol Proteus 765 turboprops developing 4120ehp (initially fitted to the RAF Series 252), driving 16 feet de Havilland hydromatic, four blade hollow steel or duralumin propellers. 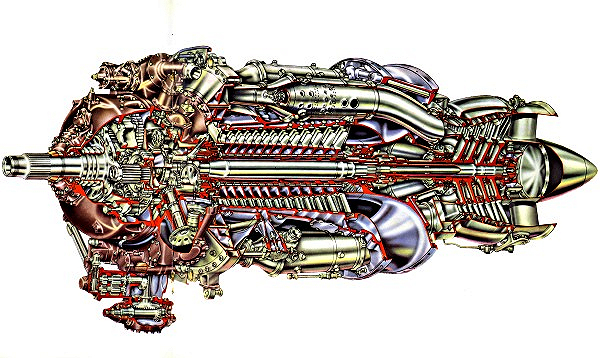 POWERPLANT 2:Four Bristol Proteus 255 turboprops, driving 16 feet de Havilland hydromatic four blade, hollow steel or duralumin propellers and developing 4455ehp but with addition of water-methanol injection to offset reductions in engine performance under certain conditions e.g. high altitude and high temperatures. Wing Area 2075 sq. ft. Variant 252 Still Air range, maximum payload 33 100lb over 4628 statute miles at a cruising speed of 355 mph. Still Air range, maximum fuel (including reserves) 5334 statute miles at a cruising speed of 355 mph with 21 724lb payload. Variant 253 Still Air range, maximum payload 37 400lb over 4628 statute miles at a cruising speed of 360 mph. Still Air range, maximum fuel (including reserves) 5334 statute miles at a cruising speed of 357 mph with 26 024lb payload. Up to 139 passengers (generally limited to 115 because of maximum dinghy capacity) in rearward facing seats. 53 stretchers with 6 medical attendants and 2 iron lungs for aeromedical role. 5850 cubic feet (252). 6120 cubic feet (253). Variant 252 Empty 94 900lb. All up weight (including fuel) 185 000lb. Variant 253 Empty 90 600lb. All up weight (including fuel) 185 000lb. Note: The variant 252 was basically a mixed freight / passenger aircraft which differs from the series 310 in having a forward freight loading door measuring 74.5inches by 93inches and a strengthened forward fuselage floor. The variant 253 is also fitted with the same door and is essentially a freight aircraft, built to RAF requirements but can also be used for troop carrying and medi-vac (medical evacuation) roles. A truly versatile ‘combi’ (combination) aeroplane.